Included in my parcel was a bottle of Bacardi 8, candied orange peel, whole nutmeg, tonka beans, and of course, a sleeve of Cubania. I used most of these ingredients in my first Cubania-inspired recipe, which is a chocolate cloud cake that is intensified with Cubania and rum and notes of citrus from finely chopped candied orange peel. 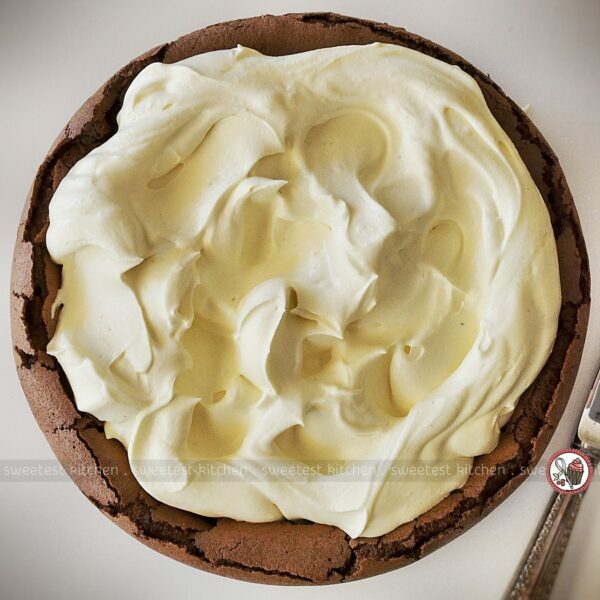 Because that crater is the perfect place for a heaping mound of tonka bean whipped cream! 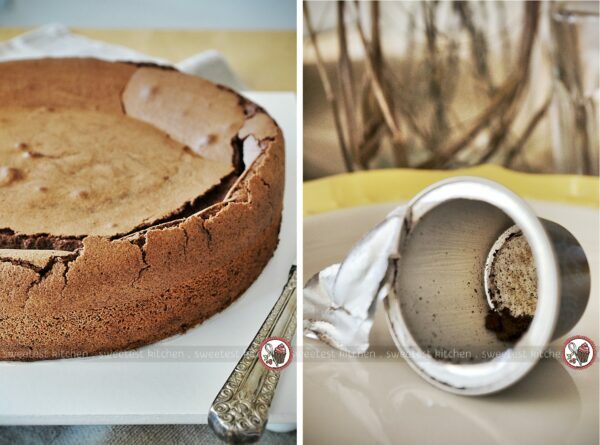 Hence the name, chocolate cloud cake. Tonka beans are a bit of a controversial food as the use of the beans in food in the United States is banned (it is, however, used in medical drugs and a number of other non-food products, including tobacco)! Tonka beans contain coumarin, and when consumed in large doses, can cause hemorrhages, liver damage, and can paralyze the heart. In large doses! Don’t worry, its use in whipped cream won’t harm you. In fact, you have probably already consumed it in some way, as tonka beans were used as a cheaper way to flavor vanilla extract before tonka beans were banned. Tonka beans are not illegal in Australia, so you can happily march into a gourmet food shop and purchase a small bottle for use in your own home cooking. Tonka beans have the most amazing smell (which is due to the high content of coumarin), like vanilla beans with a dash of cinnamon, cloves and almonds. It’s beautiful. Because the scent is so similar to vanilla, it is often used in things that you’d use vanilla in, such as ice cream. I wanted to top my chocolate cloud cake with tonka bean-flavored whipped cream, but as I had to finely grate the beans, I couldn’t just whip the grated bean into the cream and expect it to taste like tonka beans. Somehow I had to infuse the flavor/aroma of the tonka beans into the cream, which is usually done by heating and then steeping for a certain amount of time, but I couldn’t do this to cream I wanted to whip into a fluffy cloud. I could have grated the bean into the cream to let the flavor infuse overnight in the refrigerator (similar to cold brewing coffee) , but I didn’t think of that ahead of time. My second thought was to create a tonka bean-flavored syrup which I could whip into the cream. This syrup is pictured in the above picture, on the right. It is simply a mix of equal parts sugar and water, with grated tonka bean and a splash of pure vanilla extract. This is simmered for 10 minutes, strained, cooled and then whipped into the cream. It worked perfectly, and now I have leftover tonka bean-flavored syrup to use in future recipes. There are still tiny pieces of the beans in the whipped cream, but not much. It is reminiscent of simply having vanilla beans speckled throughout your whipped cream. But wow, how seriously gorgeous and delicious does that cake look! The cake is so fudgy, the whipped cream so soft. It is so perfect and tastes so incredibly dreamy. 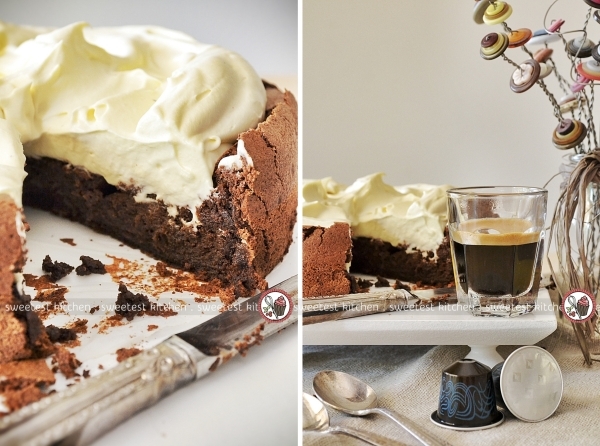 The cake itself is not overpowered with a coffee or rum flavor, but instead, the dark chocolate is intensified and sinful. There is a small hint of citrus, but just barely. Using fresh orange zest might lend a stronger citrus note, but I love the cake just as it is. I had intended on serving the cake with thinly sliced candied orange peel, but by the time I pulled out the first slice of cake, I was so mesmerized that I forgot all about it! I promptly ate the first slice and then cut out another slice to take a couple quick photos with some candied orange peel! 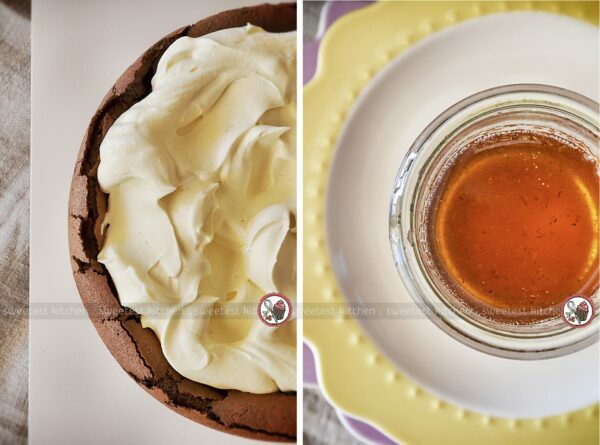 The tonka bean-flavored syrup worked perfectly to impart the tonka bean flavor into the whipped cream. It is lightly flavored, like a vanilla whipped cream, not overpowering. It’s such a dreamy flavor. While eating it, I would guess that you might notice it is not vanilla, but a flavor that is reminiscent of vanilla. So yes, you can definitely tell it’s something special. 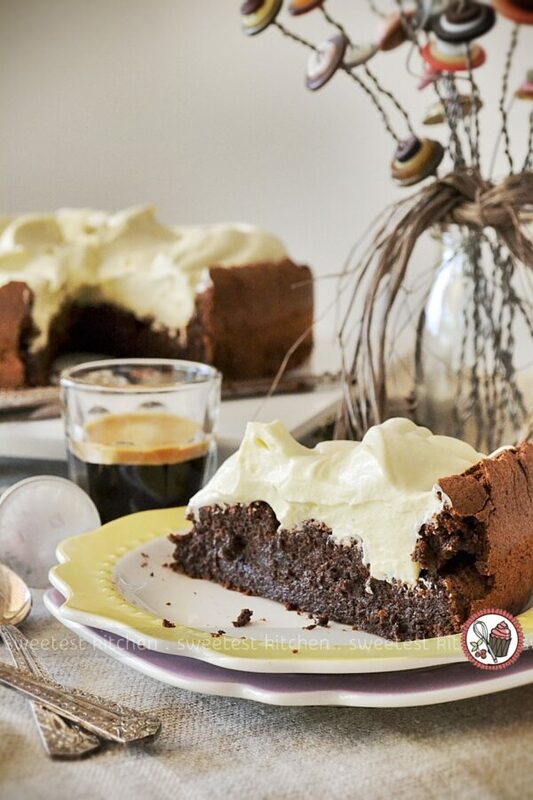 And finally, what better way to pair this chocolate cake than with a shot of Cubania. Cubania is only around for a limited time, so grab some while you can! Enjoy! 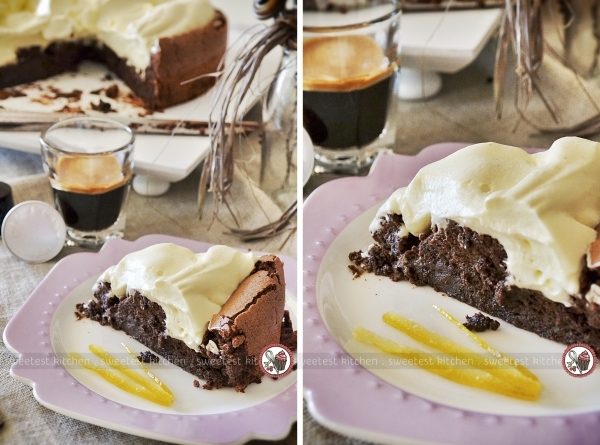 An intensely deep dark chocolate cake with espresso, rum and hints of citrus. The crater that forms in the middle of the cake while cooking is the perfect place for a fluffy cloud of tonka bean whipped cream. For the cake: Preheat oven to 180C. Line the bottom of a 23cm springform tin with baking paper. 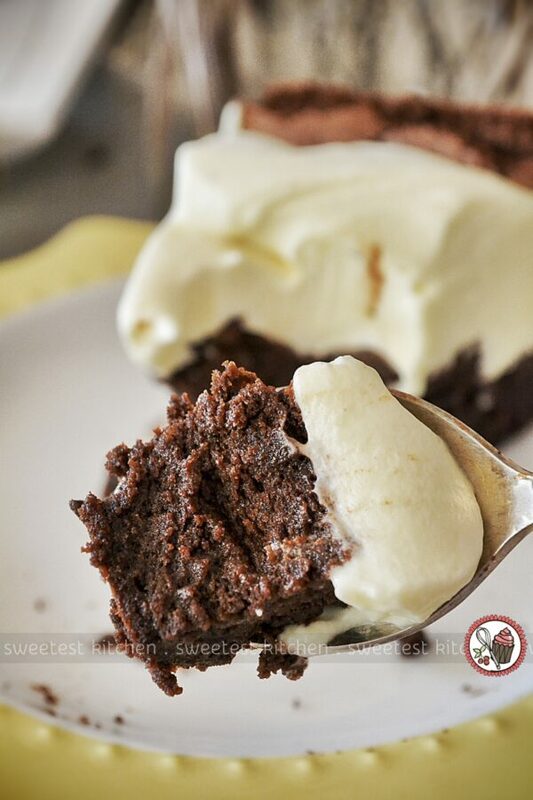 Melt the chocolate in a double boiler, then add softened butter and stir to melt the butter into the chocolate. Beat the 2 whole eggs and 4 egg yolks with 75g of the caster sugar, then gently add the chocolate mixture, the contents of the Cubania capsule, rum and orange zest. In another bowl, whisk the 4 egg whites until foamy, then gradually add the remaining 100g of sugar and whisk until the whites are holding their shape but not too stiff. 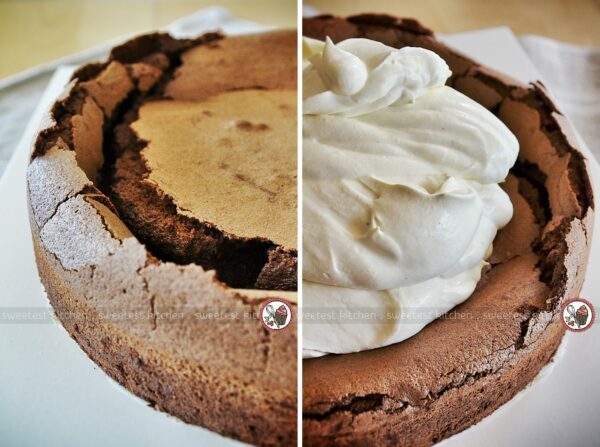 Fold a dollop of the egg whites into the chocolate mixture to lighten, and then fold in the rest of the whites. Pour into the prepared tin and bake for 35-40 minutes or until the cake is risen and cracked and the centre is no longer wobbly. 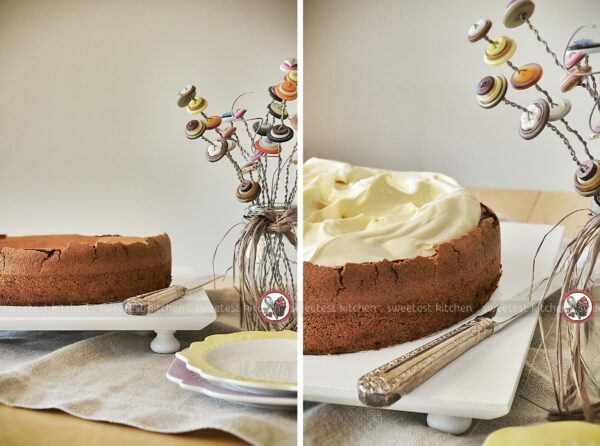 Cool the cake in its tin on a wire rack; the middle will sink as it cools. When ready to serve the cake, place the still tin-bound cake on a cake stand or plate for serving and carefully remove the cake from its tin. Don't worry about cracks or rough edges: it's the rustic, crater look you're after. 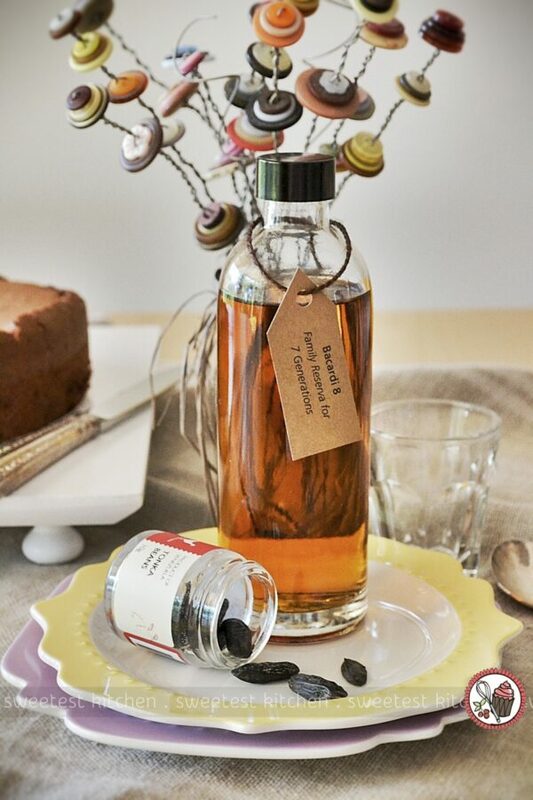 For the tonka bean syrup: While the cake is baking, prepare the tonka bean syrup by placing all ingredients in a small saucepan over medium-high heat and stir until the sugar is dissolved. Reduce heat and simmer for 10 minutes, swirling the pan occasionally. Remove from heat, pour into a heatproof jar and cool completely. Store leftovers in the refrigerator. For the tonka bean whipped cream: Whisk the cream until it's soft and then add a tablespoon (plus maybe a dash more if you wish!) of the cooled tonka bean syrup (it has to be cool, otherwise your cream may not whip up) and continue whisking until the cream is firm but not stiff. Fill the crater of the cooled cake with the whipped cream, easing it out gently towards the edges of the cake, making dips and mounds in the cream to give it a fluffy cloud sort of look. Serve immediately. Any leftovers should be stored in the refrigerator and consumed within a day or two. The citrus notes aren't very strong in the cake. If you'd like more of a citrus flavor, use a fresh orange. Otherwise, feel free to leave it out if you can't find/don't want to make candied orange peels. If you can't find/don't want to use tonka beans, use a mixture of pure vanilla and almond extracts (equal parts). Feel free to leave the rum out if you're serving children or anyone who does not consume alcohol. 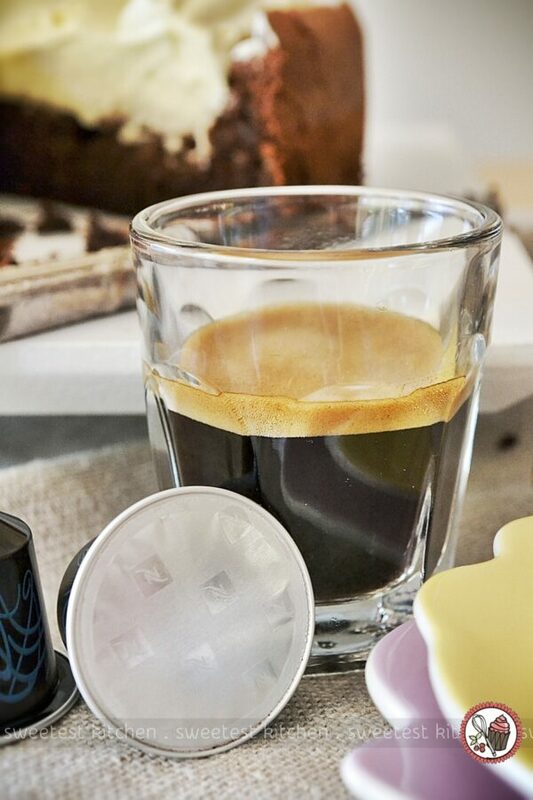 Substitute 1-2 tablespoons espresso powder if you don't use Nespresso capsules. Try to avoid instant coffee granules unless absolutely necessary. This cake looks INCREDIBLE. Definitely wish I had a slice to devour right now, especially loving that thick layer of tonka cream ontop! 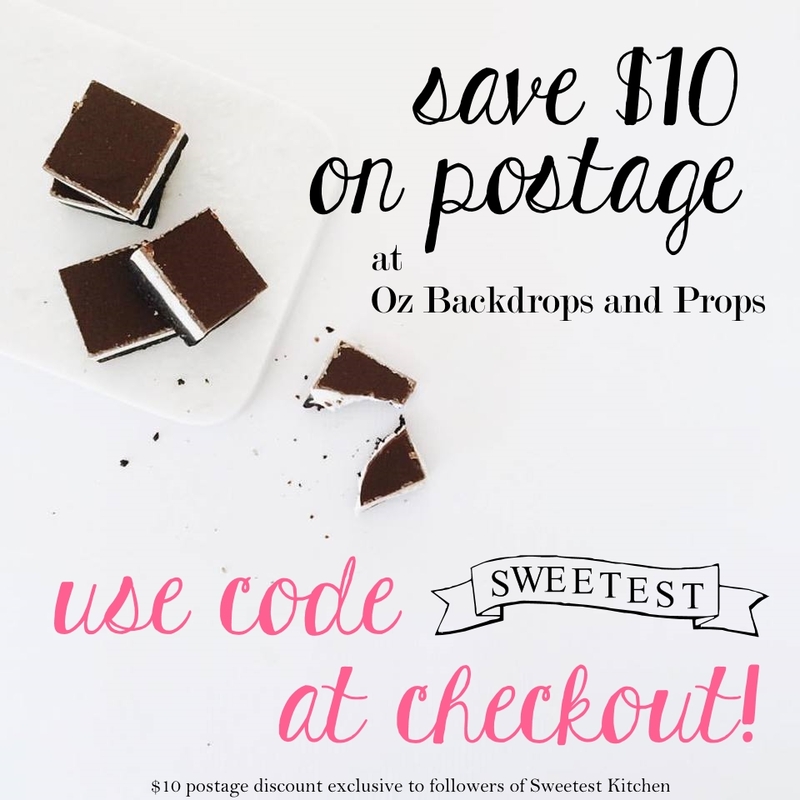 Love the idea of chocolate and rum! What a beautiful dessert! This looks amazing! One of my favorite desserts is a fudgy chocolate cake that’s moist-to-liquid on the inside and has a scoop of vanilla ice cream on top; I’m not sure of its name. I think I’ll try to mix this chocolate cake with vanilla ice cram instead of the whipped cream! I also appreciate that from the tutorial, it appears to be manageable even for someone like me. On a side not, the Cubania capsule seem like a waste. I’ rather drink it! Is was one of the best editions Nespresso ever had and I’m so sad it’s gone! I’ll use Dharkan instead, which is the closest in taste in my opinion.